Buying the right batteries for a flashlight, may be as important as buying the right flashlight itself. The right batteries can make or break the flashlight, and completely change the way you use it. When it comes to buying flashlight batteries, you’ll need to pick between reusable and disposable batteries. There’s no right or wrong choice, so depending on how often and how extensively you’ll use the flashlight, your choice may vary. If you intend on using the flashlight frequently for a fair amount of time, then rechargeable batteries are undoubtedly the better choice. First and foremost, you won’t have to spend money on new disposable batteries that often. Instead, all you’ll need to do is just purchase batteries, a battery recharger, and you’ll be good to go. Granted, even rechargeable batteries have a limited life cycle, but you’ll get a fair amount of use out of them if you use them properly. 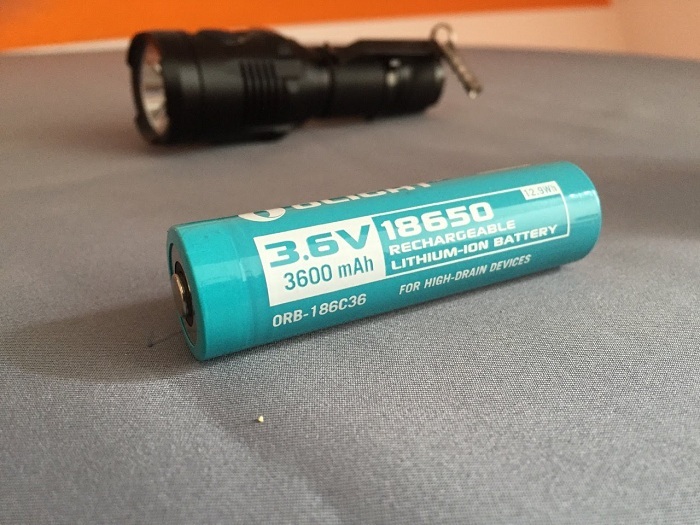 On the other hand, if you’re using the flashlight only occasionally, then you might be better off with disposable batteries, simply because they’re more affordable, and you won’t have to buy a battery recharger for them. Instead, you should just have a few packs of disposable batteries at hand, and replace them when you see the quality of the light on the flashlight diminish. But not all batteries are built the same, regardless of whether they’re rechargeable or disposable. There are various different types of flashlight batteries, and the two most popular types are lithium-ion and NiMh. Lithium-ion are usually the more expensive type, but they’re arguably the best type as well. What makes them so good is the fact that they contain very high energy density, little loss of charge when on stand-by, and no memory effect. Memory effect is the batteries’ ability to lose or keep charge. It’s basically the process in which batteries lose their maximum capacity when they keep getting recharged without being properly discharged. This brings me back to what I said previously – every battery has a life cycle, even quality rechargeable lithium-ion batteries, so how long the batteries hold up depends on how you use and recharge them. And when it comes to chargers, you’ll typically have to pay anywhere from $10 to $100. So, when you consider how inexpensive chargers and even rechargeable batteries are, I’d definitely give it a second thought if I were considering disposable ones, as it takes a few recharges of the same batteries for the charger to pay off.